My husband works three days in a week at Orlando International Airport and that gives us four days of quality time together. We spent most of the afternoon driving towards the Kissimmee area since we are only 20 minutes away from this beautiful place. 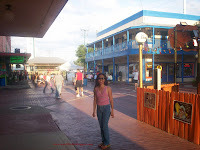 We usually hang out at Old Town which is a free attraction found in Kissimmee, Florida. I love this place because it has live entertainment, little shops, boutiques and interesting display of vintage cars. 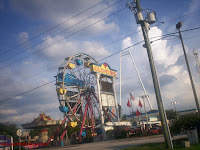 They also have exciting and thrilling rides plus a pizza place and restaurants that satisfy your hunger. When you visit Florida, stay at Kissimmee area because this place is the heart of everything. There are so many vacation hotels and motels that you can choose from according to your budget. If you have RV, just relax because this place has Campgrounds and RV Parks that you can rent on. If you are looking for vacation rentals, this is the right place to find one. Visit the link provided here and choose where you want to stay. It will be fun and exciting vacation that you will ever have this summer. You will enjoy the outdoor activities such as fishing, hiking, biking and boating. Planning to visit Disney World and Sea World? Kissimmee is just close by and in few minutes, you will be there. Check this Website now and enjoy your summer vacation at Kissimmee.